I was in a pretty bad accident a little over a month ago that landed me in the hospital for a week. The nurses that took care of me were phenomenal! One nurse in particular brought in a chocolate peanut butter snack that she shared with us. It was the first time I’d had peanut butter in quite a long time and boy was it gooooood! She shared the recipe with me and I think I was most happy that it was sooooo easy to make! It only has three ingredients and doesn’t require an oven! It sounded like just the type of recipe I would need once I recovered enough to “bake” again, which is just what happened yesterday. 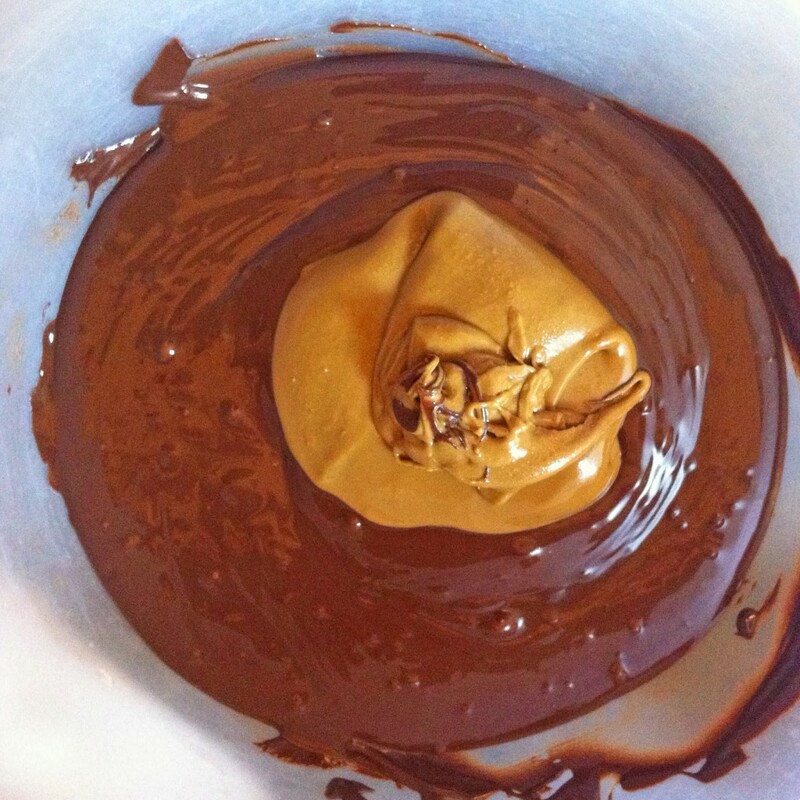 Of course I didn’t use peanut butter, I substituted with SunButter and the result was amazing! 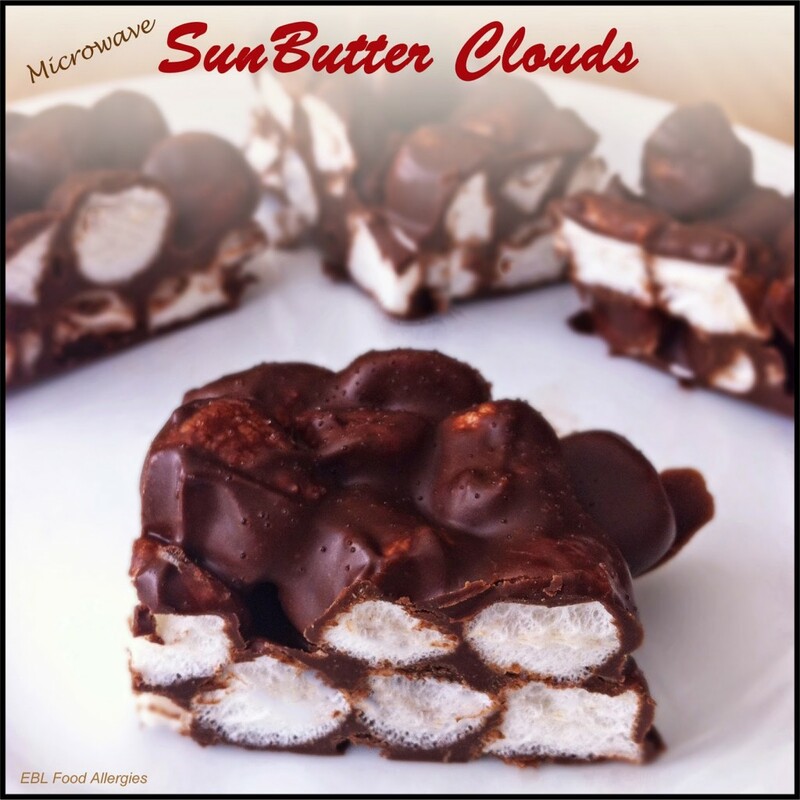 The SunButter® Clouds are named just that because they are so light and fluffy it’s like eating a chocolate SunButter® cloud! They only take minutes to make!! 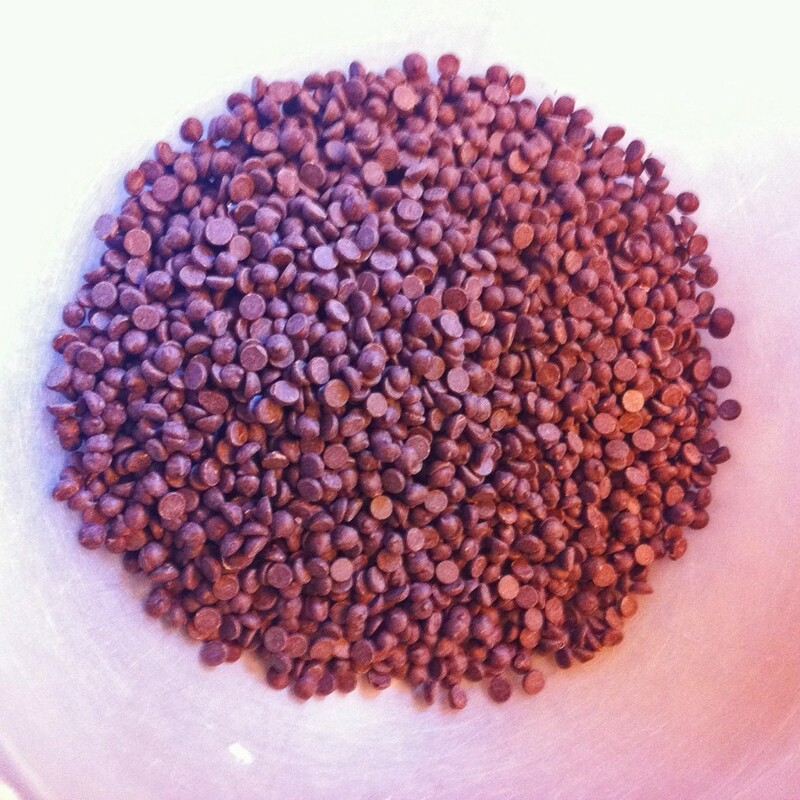 First, melt an entire bag of chocolate chips in a microwave safe bowl until melted. 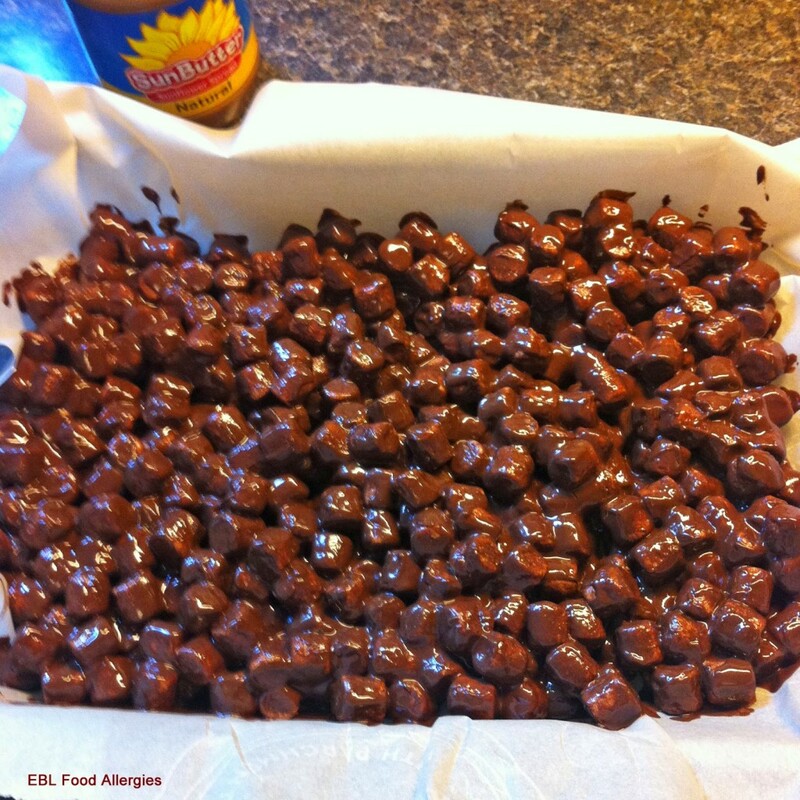 I used an allergy-friendly chocolate but any chocolate that accommodates your diet will work. Second, add a big ol’ dallop of SunButter®. I probably used a half of a cup. Microwave for one additional minute and stir together. 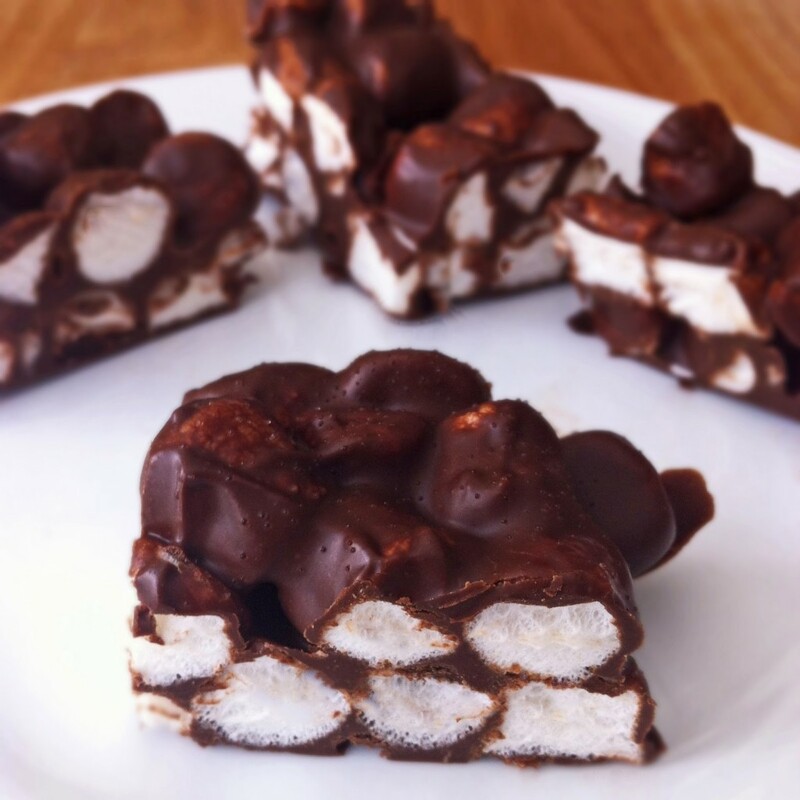 Next, mix an entire bag of marshmallows covering each with the SunButter® chocolate mixture. Spread the mixture into a 9×12 pan lined with parchment paper and chill in the fridge for about an hour before slicing. You’ll be left with these creamy, light, desserts that everyone will love. Just make sure you keep them stored in the fridge. They melt pretty quickly! A huge THANK YOU goes out to all of the nurses, family, and friends that took care of my family and I after my accident! I’m thankful to be cooking again, even if it’s only in the microwave! This looks so good and really easy to make. I'll make one for the kids later. Glad you're better now. Have a great weekend.